Krisnan Inu and Patrick Ah Van touched down for doubles as Widnes ended their 17-game losing run with a 26-12 victory over Halifax at the Halton Stadium. It was billed the battle for the wooden spoon as both the Vikings and Halifax were without a point after four games of the Super 8s Qualifiers. It was a must-win for Widnes to give them a flicker of hope of making the Million Pound Game and they delivered. The win over Fax put them a third of the way there but with two away games at Toronto Wolfpack and Hull KR remaining, it is a tough ask for Francis Cummins' side who are staring relegation in the face. 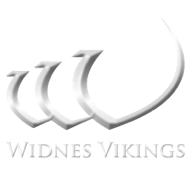 Inu's 14-point haul made sure Widnes' longest-ever losing run came to an end and his efforts were enough for Cummins and the Vikings to finally exhale after they picked up their first two points since March 22. The RFL proposal to revert to a 'one up, one down' promotion/relegation system from 2019 has been accepted. 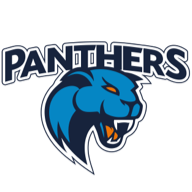 Halifax made the brighter start and former Viking Shane Grady thought he had touched down after only four minutes as a high kick ricocheted off the crossbar and into the arms of the second-row forward. However, his effort was soon chalked off for offside by the video referee and Widnes hit back straight away with two scores in the space of six minutes. The first came from Weller Hauraki who charged in from close range after latching on to a short Joe Lyons pass. Inu knocked over the conversion and was in the action again as he showed good strength to finish off a sweeping Vikings move on the right edge. Widnes were well in charge at 10-0 but Fax did not press the self-destruct button and led by veteran stand-off Scott Murrell they inched their way back in it and five minutes before half-time they struck through James Woodburn-Horn as Widnes were caught napping. Ah Van restored order after the break with a simple try out wide and then Inu spectacularly dived over in the corner to leave Halifax staring down the barrel at 22-6. The Vikings had more chances in the final 10 minutes to really put the Yorkshiremen to the sword but a combination of ill discipline and poor decision-making prevented the home side from registering further points. And to sum up their season they were struck with a sucker-punch in the closing stages as Jason Saltonstall crashed over in the corner with Murrell adding the extras. 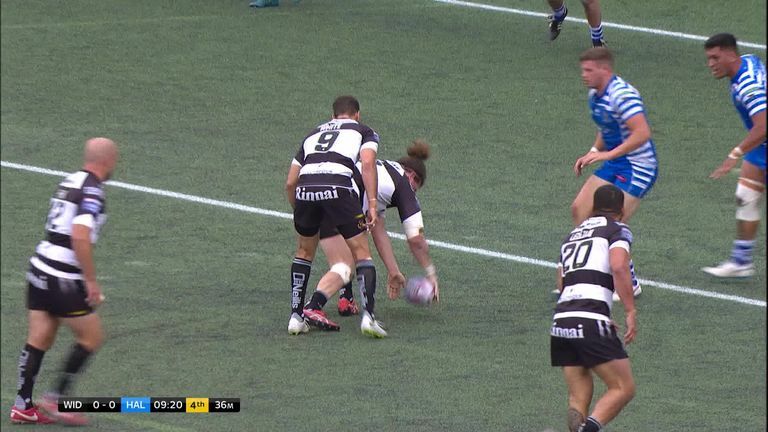 The try was the trigger for disgruntled Widnes fans to unveil a banner aimed at the Vikings board of directors that called for chief executive James Rule to resign after the club's worst-ever Super League campaign. Ah Van turned the focus back to the action on the field as he crossed in the final seconds.